LAKE FOREST, Calif. -- The frantic search for a University of Pennsylvania student who went missing in Orange County while on break from school is approaching the one-week mark. 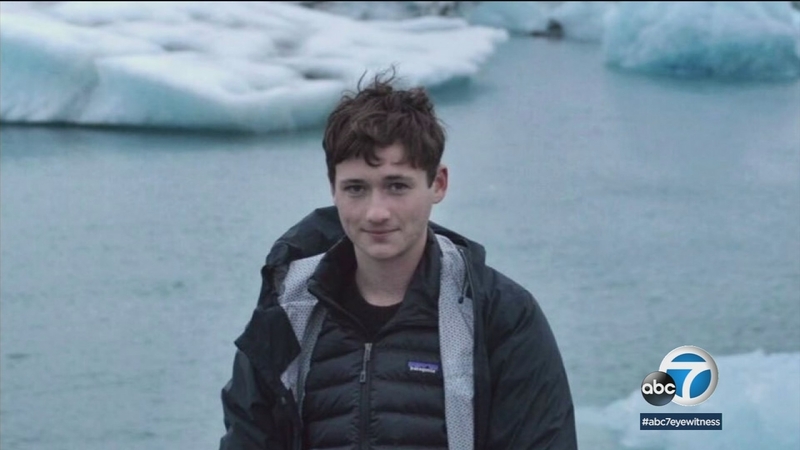 Blaze Bernstein, 19, was last seen Tuesday around 11 p.m. entering Borrego Park in Foothill Ranch by a friend who was with him at the time, according to the Orange County Sheriff's Department. A frantic search is underway in Orange County, where deputies are looking for a 19-year-old college student who has been missing for days. According to sheriff's department spokesperson Carrie Braun, investigators are actively following up on leads in the case. "It is still being investigated as a missing persons case," Braun said. Teams were out searching for Bernstein Thursday and Saturday. Braun confirmed that there is a witness in the case, but no suspect. "We're hoping that he is just either incapacitated or unable to contact his family," Braun said. "We're really hoping to find him well and alive and return him safely to his family." According to a Facebook post by Bernstein's father, Gideon, the sophomore was scheduled to fly back to Pennsylvania Sunday to return to school. "We know Blaze would have loved to be on that flight back to school," Gideon Bernstein wrote. Bernstein also said in the post that the family has begun a drone search with professional drone operators on their own. Gideon and Jeanne Bernstein said that their son left their Lake Forest home that night without a word to either of them. His parents said they received calls that he may have been spotted Wednesday morning, but none of the leads have gone anywhere. "I feel like we've explored everything that we could in regard to what happened. But all that we really know is that he ran off into the wilderness and we don't know why," his mother said. "He left our house that night with no wallet, no money, no identification, no credit cards, no keys, no eyeglasses - this is someone that needs to wear eyeglasses," Jeanne said. Anyone with information on Bernstein's whereabouts is urged to contact the Orange County Sheriff's Department at 714-647-7000.